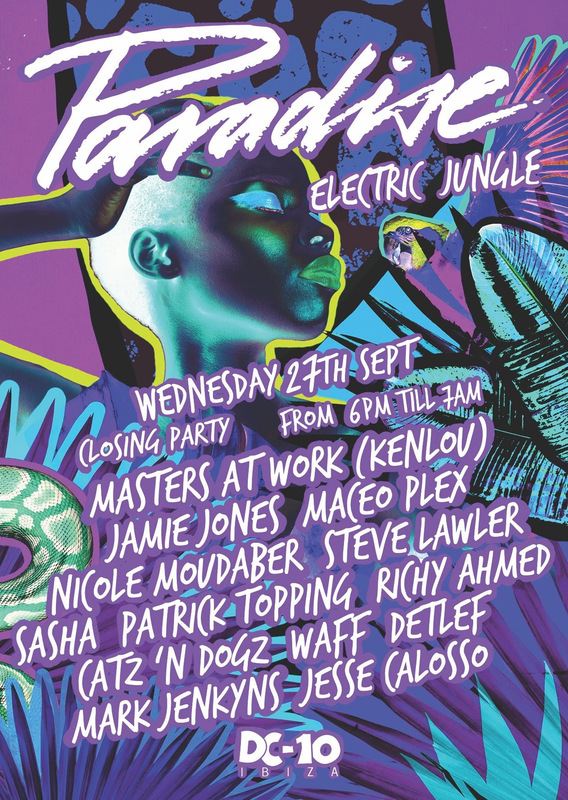 Jamie Jones has unveiled the full line-up for Paradise's closing party at DC-10 on Wednesday 27th September. Jones and the Paradise team have curated a huge closing party line-up including house veterans Masters At Work, who will be playing the famed Ibiza venue for the very first time together. The garden is scheduled to open from 6 pm local time where Jamie Jones will be joined by Master At Work's Louie Vega and Kenny Gonzales. Elsewhere, Mosaic boss Maceo Plex will be playing alongside Nicole Moudaber, Steve Lawler, Catz n Dogz, Sasha and the rest of the Paradise regulars including Patrick Topping, wAFF, Richy Ahmed and Detlef. 2017 has been Paradise's biggest year to date on the White Isle with Jamie Jones performing b2b with the likes of Tale Of Us, Joseph Capriati and Craig Richards, whilst there have been club debuts from the likes of Christian Burkhardt, Peggy Gou and Latmun. You can buy tickets for the closing party here.